Adorable handmade cloth diaper from The Albino Squirrel with snap-on removable tail. • One-Size fits most babies 8-35lbs. Each diaper is made of a premium 100% Polyester Knit layer with a waterproof PUL (Polyurethane) layer underneath. This diaper is made-to-order. 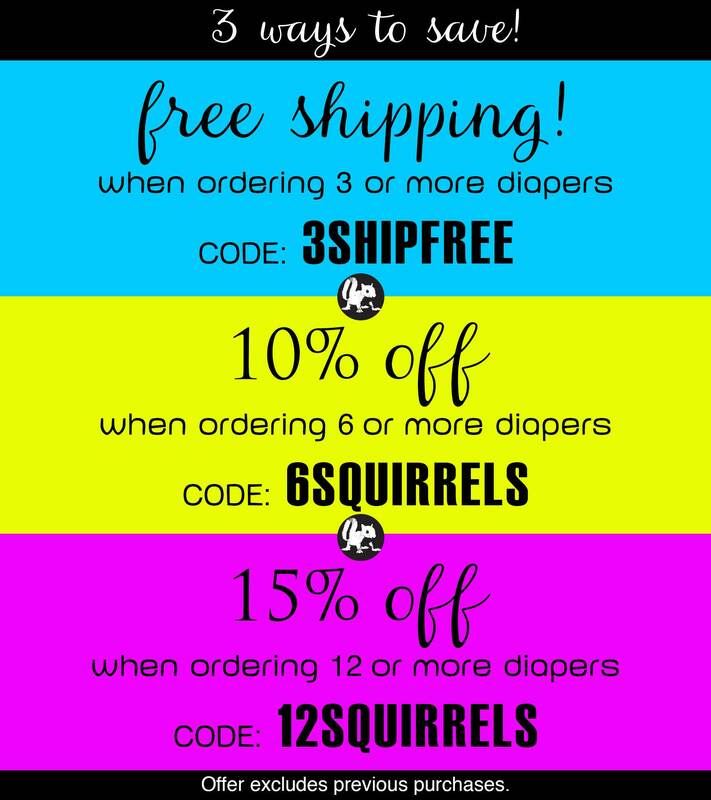 Please allow 1-2 weeks for your handmade diaper to ship. If you need something by a particular date, please contact me BEFORE ordering to make sure I am able to accommodate your request. What is the difference between covers and pockets? COVERS offer flexibility for you to diaper with prefolds, flats, FSTs (Flour Sack Towels), or fitted diapers. With covers - just wipe down the PUL layer inside after a change and it's ready to go again! Covers also work great over disposables if you don't cloth diaper but want in on the cuteness. POCKETS have an opening between the waterproof PUL layer and a special wicking knit mesh fabric to insert a wide variety of inserts, prefolds - whatever you already may be using in your current stash. The knit mesh fabric is super soft and helps to pull moisture away from the skin. 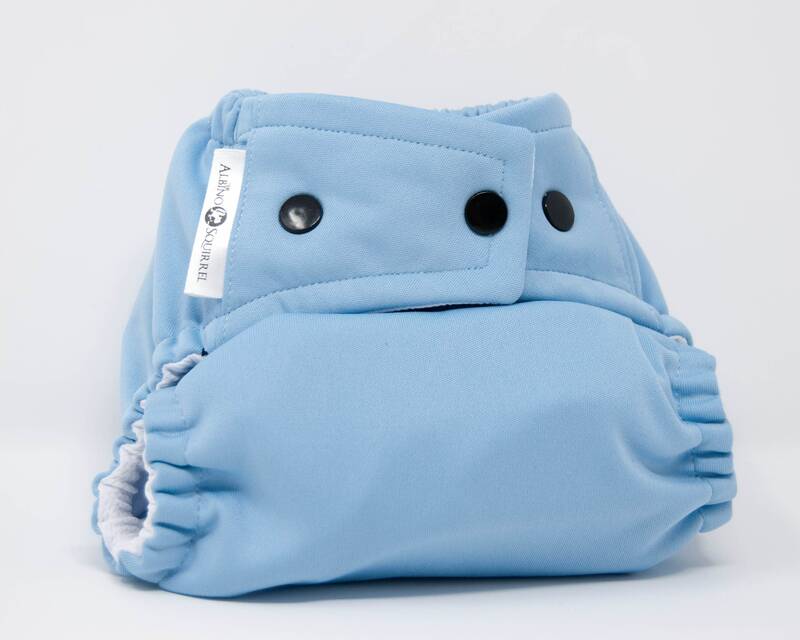 Pocket diapers also make for great swim diapers when left unstuffed. The Albino Squirrel's diapers are in no way associated or licensed and I claim no ownership of the media or character that inspired these designs. Perfection! Beautifully made I see no mistakes at all. Amazing quality. I cannot wait to get it on the bum! The product is stunning, very well made, and very thoughtfully packages! Thank you! One of the cutest covers ever! Really great quality too!